Today we have Stampin' Up! Only Challenge #65 with the theme of Go Green in honor of St. Patrick's Day. You'll find my design team entry featuring the theme of Go Green St. Patrick Day Card! To view the other design team entries featuring the Go Green theme, click HERE to visit the Stampin' Up! Only Challenge Blog. card base then I created another layer using the Whisper White Card Stock embossed using the Honeycomb Textured Impressions Embossing Folder. I used Sunshine & Sprinkles Designer Series Paper with the Honeycomb Textured Impressions Embossing Folder running it through my Big Shot several times until it "ripped" the paper. I then cut out the individual Honeycombs and created a design on the Whisper White card stock with the Sunshine & Sprinkles Designer Series Paper. Next, I stamped little shamrocks using the Lucky Limeade classic ink in the Honeycomb design using the Itty BItties Stamp Set from the 2013 Spring Catalog. The sentiment I used is from the Occasions Alphabet Stamp Set which I punched out using the Large Oval Punch and then punched a boarder from the Lucky Limeade card stock using the Scallop Oval Punch. As a final touch on the card, I attached a piece of Lucky Limeade Ruffled Ribbon to the card then tied a bow. 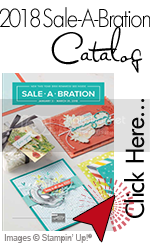 TO ORDER STAMPIN’ UP! PRODUCT ONLINE 24/7! CLICK HERE! SUOC 36 Perpetual Card Fun with Stampin’ Up!